Excellence AwardsCheapOair won the 2014 International Service Excellence Award from the Customer Service Institute of America and International Council of Customer Service Organizations. Fareportal is a Global Technology Company with the Heart of a Startup. CheapOair is a flight-focused, hybrid travel agency that enables consumers to book online, on mobile apps for iOS and Android, by phone, or live chat. 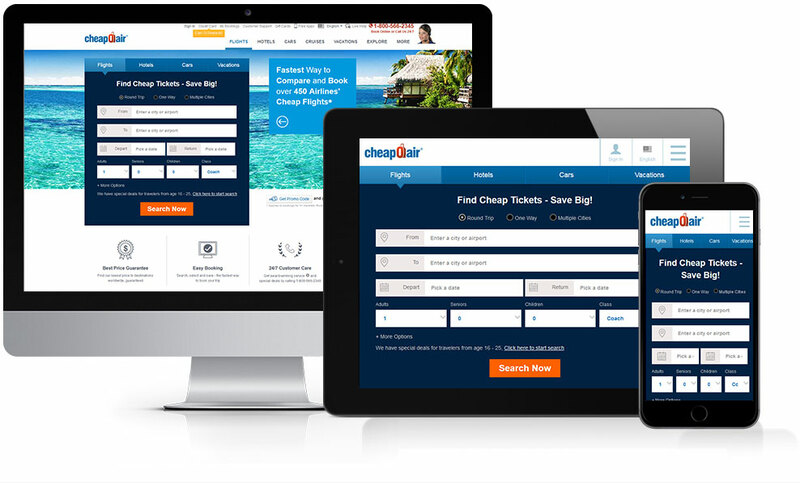 CheapOair bridges the gap between an online and traditional travel agency with trained travel agents available 24/7 to help find deals and offers to destinations worldwide on over 450 airlines, 1 million hotels, and hundreds of car rental companies. China Airlines operates non-stop flights to Taipei from five North American gateways including Los Angeles, San Francisco, New York, Vancouver and Honolulu. 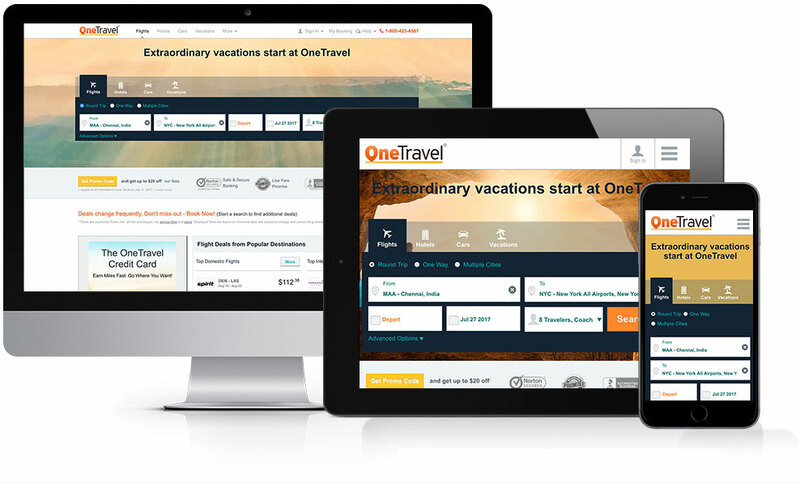 OneTravel is a leading online travel booking site that offers deals for savvy travelers seeking both quality and value. Launched in the mid-nineties, OneTravel is now recognized globally for providing one-stop shopping for all travel needs. Customers have access to millions of cheap flights including business class and first class airfares, hotel rooms, car rentals, and cheap vacation packages to top destinations around the world. 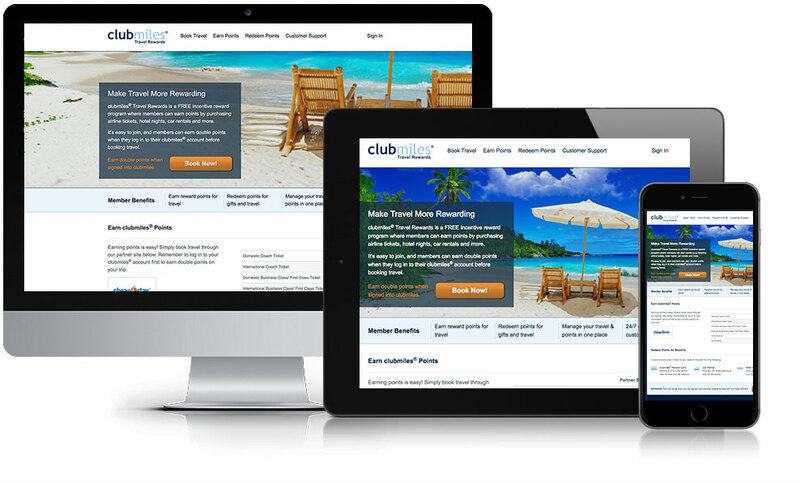 clubmiles® Travel Rewards is a FREE incentive reward program where members can earn points by purchasing airline tickets, hotel nights, car rentals and more. It’s easy to join, and members can earn double points when they log in to their clubmiles® account before booking travel. Travelong is a New York City-based travel management and technology development company established in 1933. Travelong offers travel solutions for over 100 corporate clients, 30 home-based agents, and independent contractors within the travel industry. 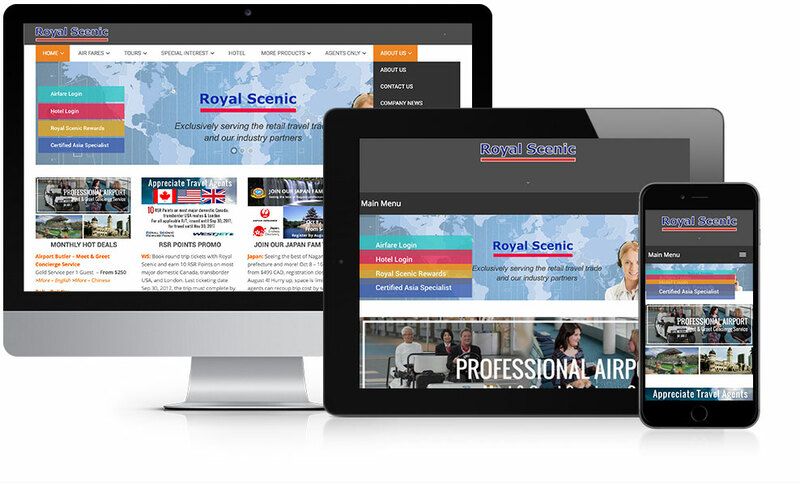 Royal Scenic is a Canadian wholesale supplier and air consolidator with offices in Vancouver, Toronto, and Montreal. Royal Scenic offers quality products with excellent value exclusively to the retail travel community for the corporate and leisure markets. The company takes great pride in providing quality customer service in the most friendly and efficient manner. GDS access includes Sabre, Galileo, and Amadeus. Duke’s Court Travel is a London-based comprehensive travel management solutions provider with over 25 years of corporate travel experience. Duke’s Court Travel offers a wide range of services from corporate travel to event management with a specialty focus on global travel for sports groups of all sizes. 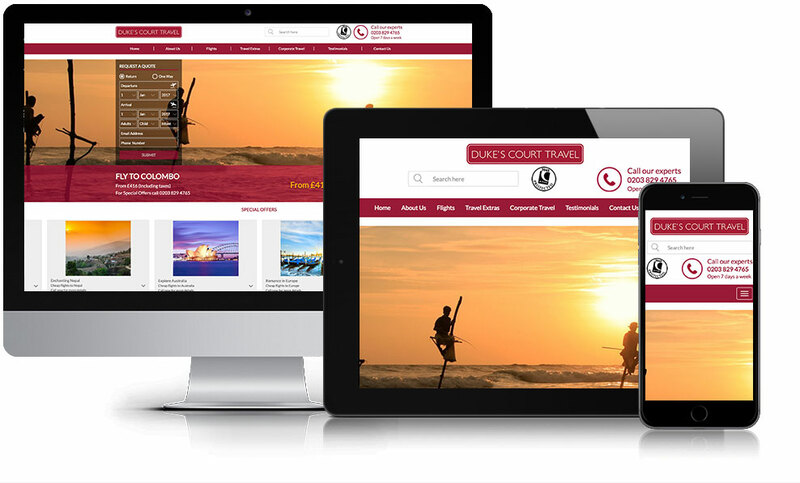 Duke’s Court account managers and travel consultants help to ensure travel plans are seamless and cost effective. As a Fareportal brand, Duke’s Court Travel has access to exclusive contracts with many of the world’s top airlines, hotels, and rental car companies. Tripcombi is an online flight metasearch platform offering travelers myriad options for unique flight itineraries at affordable rates, in one quick, user-friendly search. 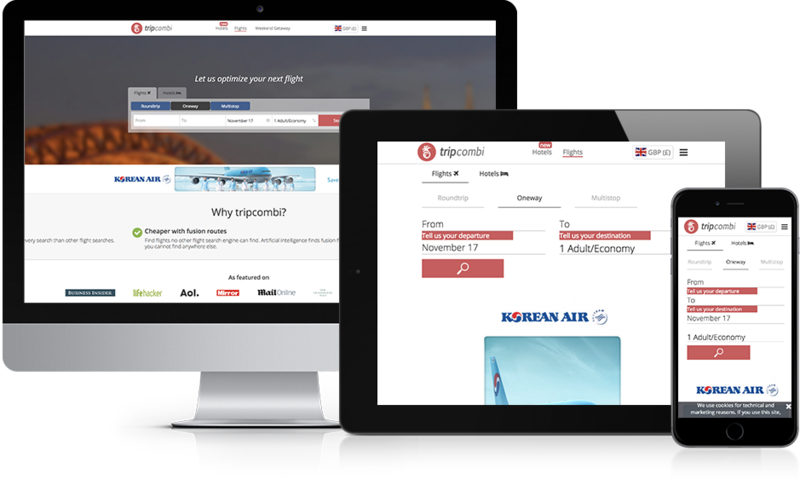 By leveraging its proprietary technology to find differentiated flight combinations, Tripcombi is able to deliver valuable content to customers. Tripcombi’s technology is built upon advanced machine-learning algorithms that empower users to search and find competitively priced flights worldwide. 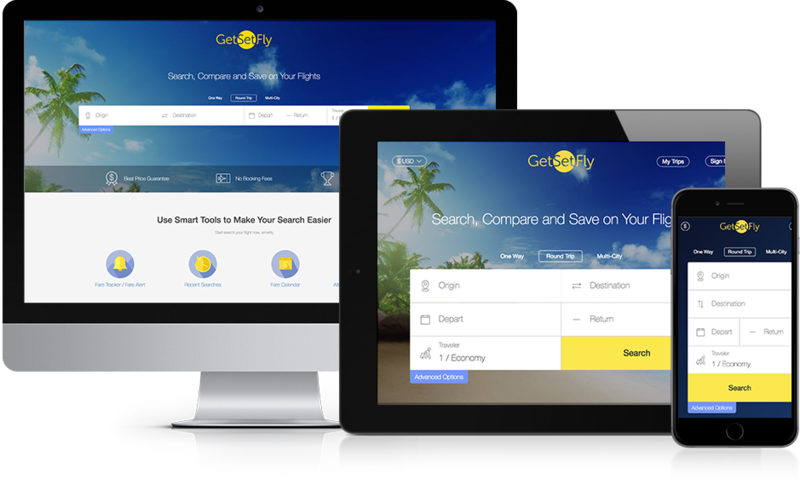 GetSetFly quickly takes you from dreaming about your next trip to actually booking it, all for a great price. This new technology-based platform joins the well-established family of Fareportal brands including CheapOair and OneTravel, to provide quick and easy access to great airfares via desktop or mobile web.